The Mailbox has announced that its redeveloped retail space will open in phases from July culminating in a celebration event in September. The opening of the Harvey Nichols new design concept store will be supported by a number of exciting store launches at the Mailbox over the summer period. The new retail mall including the sky-lit Urban Room at the heart of the development will be officially unveiled during a celebration event in September. 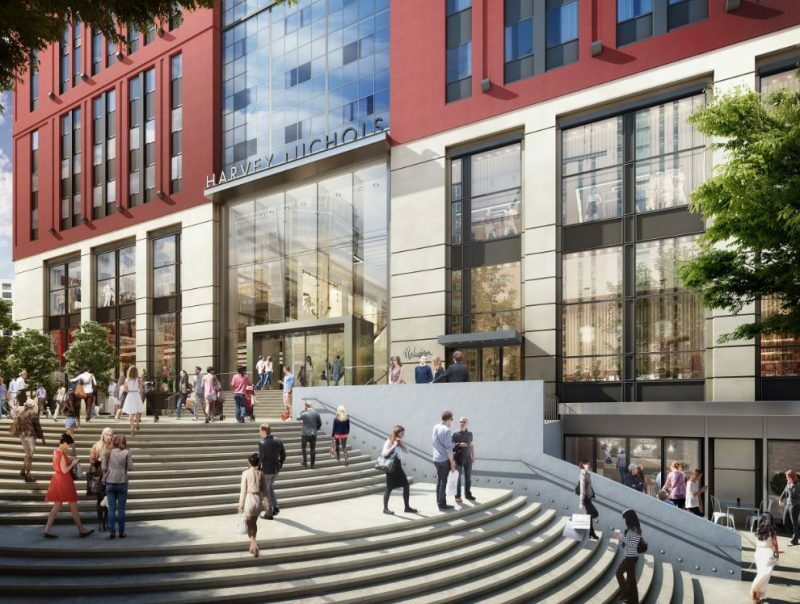 John Milligan, CEO of Milligan said, “Following the exciting launches of Everyman Cinema and Gas Street Social we know that there is huge anticipation about the new retail space at the Mailbox. The Mailbox will be home to a programme of special events over the summer for visitors to enjoy, including Birmingham Jazz Festival and a series of performances by the CBSO as well as showcasing its restaurant refreshes; namely Gourmet Burger Kitchen, The Oriental, Nandos and Strada.